Do I Need a Professional Editor? Developmental Editing - The ‘Big Picture’ edit – a developmental editor will look at the overall structure of your work and give you guidance on where it might need reworking to help the plot or arrangement of the book work best. Line Editing - A line editor will, as the title suggests, go through your book line by line looking at sentence structure and order to ensure it flows well for the reader. A good line editor will help you retain your own style and voice whilst helping to make the book accessible for the reader. 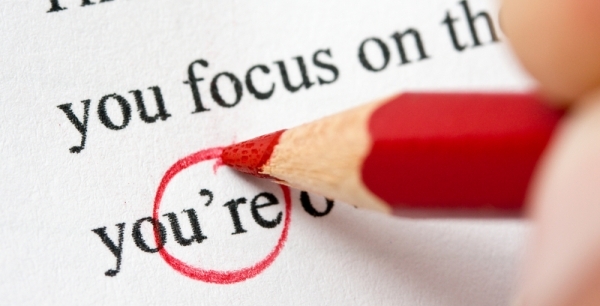 Copy-editing - The consistency edit – a copy editor will be on the lookout for inconsistencies in spelling (have you changed the way you spell the main character’s name, have you swapped between ‘realised’ and ‘realized’) and punctuation as well as names and locations. Proofreading - A proofreader can spot those typos, spelling mistakes and punctuation and grammar errors that you might not see, most likely having read your own work several times. Your book is written, you’ve read it, you’ve re-read it, you’ve changed it and read it again – now’s the time for a professional editor. Usually it’s best to get as far as you can with your own abilities before using a professional editor – if you’ve gone through it yourself and eliminated easy mistakes you will know you are getting the most out of your editor. So work your book through until you are happy with it and then start to look for your professional editor – but be prepared to make further changes once you’ve got an expert on board! So, what can a professional editor do that I can’t? A professional editor is an experienced and skilled fresh pair of eyes. You’ve likely read your book several times, you know what you want to say and you know the story, which makes it easy to miss inconsistencies and mistakes. A professional editor can also offer objective, constructive and honest advice. How do I choose a professional editor? There are a lot of editors out there and it’s hard to know who to choose. Have a chat with your prospective editor, discuss what you’re looking for, what kind of work they’ve done before, what kind of edit you’re aiming for – this will help you get to know your editor and ensure they know what you want. At Spiderwize we can offer you a free evaluation by one of our editors which will help you get to know the team and your individual editor. What can Spiderwize do for you? Spiderwize editors cover a wide range of fiction and non-fiction books and have a passion and enthusiasm for helping you get the best out of your book. Our free evaluation is a great starting point to getting the right professional edit and advising you on which type of edit will be best for your book. We’ve got all the experience you need in-house so right from your initial evaluation to publication and beyond we can guide you through the publishing process and bring your book to life.